When I was a 14, my Dad caught me moving the books in the ‘T’ section around in the local bookshop. 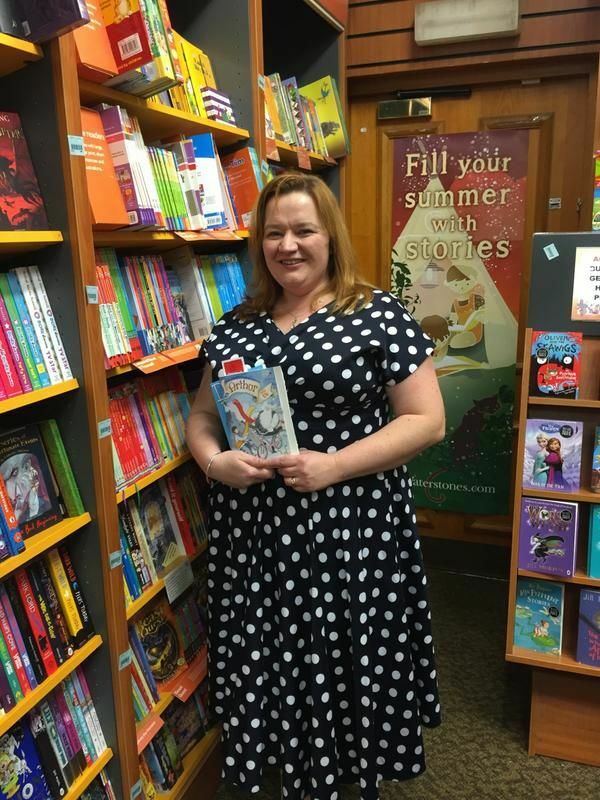 When he asked me why I was doing it I said, with all the confidence of youth, that I was ‘making space for mine.’ It took me a while, but one year ago I was finally standing in my local bookshop signing copies of my book and not quite believing my luck. Sarah Todd pic After years of scribbling, editing, starting again, hoping and trying I finally had a book with my name on the spine. What I didn’t expect was that the year after your debut can be a really steep learning curve. I think I’ve learned a lot (and still learning more) so here are my top tips gleaned from a year of being ‘a published writer’. Say YES to as much as possible and get pushy! I’ve learned to put myself forward more. I contacted the festival I go to every year and offered a storytelling session. I got in touch with my old school and offered to do an author visit. You can’t sit around waiting to be asked, you have to put yourself forward. It felt really odd at first because that’s just not me, and I could definitely have done more of it. Part of me felt ‘who am I to assume that people will want me there?’ but if you don’t offer you never know. You have to get over your squeamishness about putting yourself out there. The more you can do to help your publisher, the better. I contacted the people who design my favourite writing notebooks and sent them a ‘before and after’ photo with the book, and they invited me to write a piece for their blog. I got in touch with a local magazine to write a piece for them. I learned more about Twitter. Writers can’t hand over the book and say ‘job done’. It’s amazing how much time you’ll spend trying to get coverage for your book. Always have a story up your sleeve – and take your chicken! Children love to tell stories and write stories so, as a children’s writer, that’s what I get to do when I go out to schools. I talk to the children a little about the sort of stories they like and then we do a little writing or make up a story together. I am always astounded by how amazing children’s imaginations are. They come up with such amazing worlds and characters and, as writers, we can definitely learn from their ability to turn off the ‘inner editor’, the part of us that says ‘well that’s stupid’ before an idea has even got off the ground. I’ve developed some events to run with children, but I’ve learned to always have a story up my sleeve. I pitched to do an event aimed at 7-9s at a festival but all the children who arrived were under 5. Out went the plans for an hour’s writing workshop. In came 20 minutes of on-the-spot storytelling and getting the children to act out the story as I told it. It was a lesson learned – always have a story prepared just in case. As for the chicken – well, Kenny the Chicken is my trusty companion at events! Children love him and he’s great for building a story around, plus (don’t tell anyone I said this) it’s great to have something to cuddle when I’m feeling nervous. My debut year has been fantastic. I’ve met so many amazing people and worked with some fantastic children. 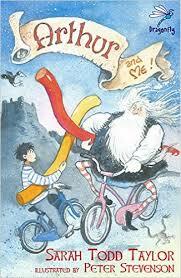 The best thing has been hearing children say that they have enjoyed Arthur’s adventures. That makes it all worthwhile. Nothing beats the feeling that I get when a child says ‘I liked this.’ It really is the best thing in the world, and it spurs me on to write more. So I’m just off to my local bookshop…to make a little more space in the ‘T’ section.